It is part of my morning ritual to pop into my local coffee shop after dropping the lad off at school. Until a few months ago I didn’t think about the takeaway cups I brought home 5 days out of 7. I thought they were recyclable. It seems to be the case, but because of Polythene, there is a need for a specialised recycling plant and here in the UK there are only three. 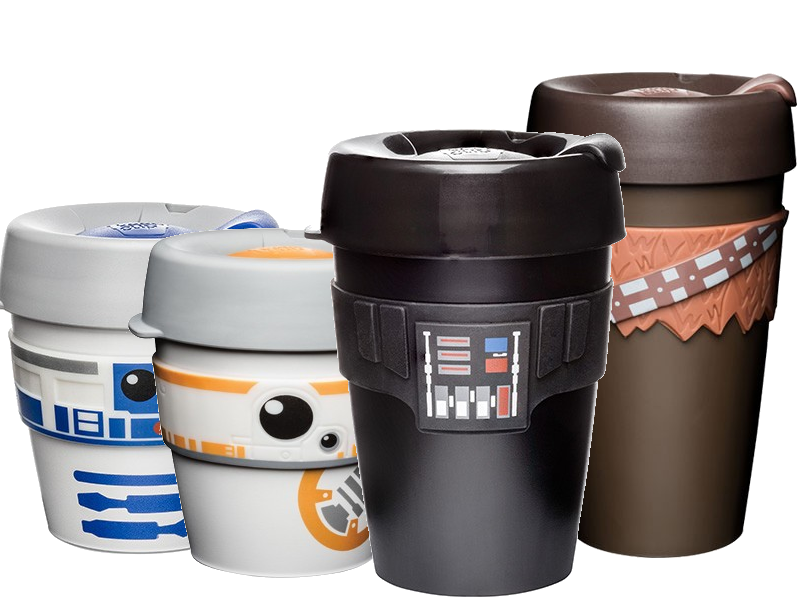 In 2016 less than 0.1% of the daily used cups were actually recycled. In 2018 the figure is up to 0.25%. The rest are still going to land fill. I didn’t know this, but it seems I needed to catch up on this. The question you need to ask is 5p enough? The 5p plastic bag tax has in my opinion been a good one (It is annoying when you forget to pack it however). The mind change comes because it’s not just the occasional 5p, for the weekly shop price it’s closer to 30 – 50p depending upon how many bags were used. We were ahead of the adoption curve on this one as our supermarket offered us reusable bags with our loyalty card, so we’ve been using those for quite a few years. They are taking the stick approach. My local coffee shop have gone down the carrot route. 10% off for own cup use and a free coffee thrown in if you buy one from them. It’s taken a lot to convince my 8 year old he doesn’t need a BB8 cup for the coffee he doesn’t drink. There is starting to be a change in the disposable daily culture in the UK. My friends are posting photos of their reusable cups on SM, decorated with their likes and personalities. For myself there has been a shift in what bags I put out at the end of the week. Previously this was one or more bin bags and maybe a recycle bag. Now it’s a rare week where there is more than one bin bag. Recycling bags are multiplying. The question now must be how much of that is actually recyclable by normal plants? My day bag now consists of a metal water bottle, a reusable coffee cup and a couple of fold up shopping bags for picking up those last minute things on the way home from work. May need a bigger bag. ← Previous Previous post: Facebook Onavo VPN is Spyware?